Today, I am going to review India's most trusted and oldest antiseptic liquid by Reckitt Benckiser i.e. Dettol. In general, Dettol doesn't need any introduction in India because every Indian knows this product very well because we all have used it at some point in life. Dettol is dominating the Indian market from the 1933 and during these years, this product has only become even more strong. The basic job of Dettol antiseptic liquid is to clean wounds and cuts. 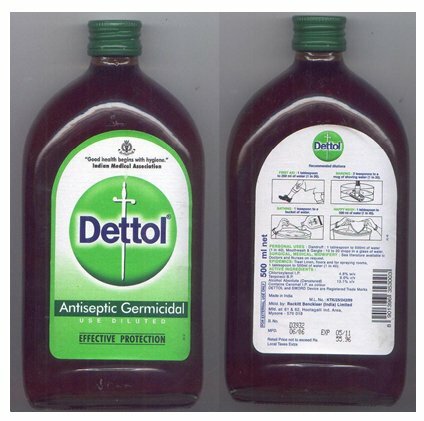 The company claims that Dettol kills over 100 illness causes harmful germs. Different people use Dettol for different reasons, some use it as a household disinfectant on the surface and some for laundry of newborns. I never forget to put few drops of Dettol in the water, which I use for shaving. During the rainy season, we also put some drops of Dettol liquid into our water bucket so that it can destroy all the skin causing bacteria in the rainy season. Mostly, we keep a bottle of Dettol in our home to treat any sudden injury. From the childhood, I am seeing it in our home and many times, it was applied on my skin clean the wounds and cuts. I do remember when I was a small kid, then I did have more fear of applying Dettol than getting the injury because at that time, Dettol available was very thick and you feel a lot of pain when it was applied to your wound. Now the New Dettol doesn't cause such irritation and it is much smooth on the skin. 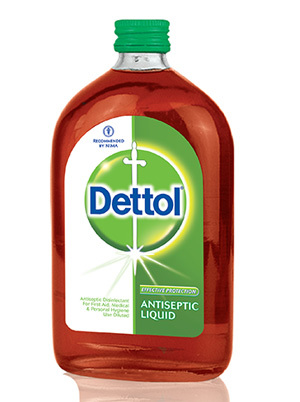 Today, Dettol is the number one brand in Liquid Antiseptic with market share of 85%, which is much higher than its rivals. This is hard work of Dettol which is paying it which it did in 1933 by creating awareness about the Liquid antiseptic. On the bottle of Dettol, you can find different methods to use it like for First Aid, Nappy wash, Bathing, Shaving, dandruff control, Mouthwash, gargle, surgical, medical, midwifery and epidemics. Since 2002, Dettol is constantly endorsed by Indian Medical Association as the top trusted brand of India which shows the trust of people on Dettol. The only bad point about Dettol was its availability in the glass bottles; however, now all new bottles of Dettol have started coming in plastic packing, thus making it easy to carry or store these bottles. I do like this Dettol and constantly use it because at fraction of cost I get some peace of mind of fighting the germs. My rating for this product is 9 out 10.